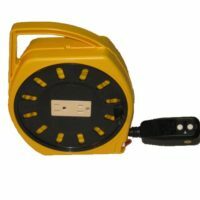 SKU: 4115-6GF Category: Portable Ground Fault Circuit Interrupters Brand: Shock Stopper™. 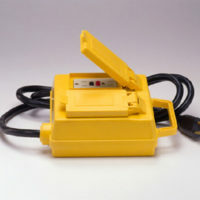 1) If circuit breaker trips, remove overload and wait two minutes before resetting breaker by pushing reset button. 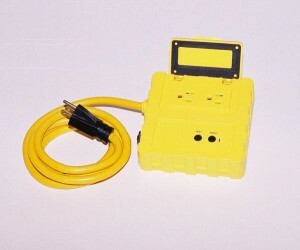 2) If ground fault circuit interrupter trips, identify, find and remove the fault, then depress reset button on GFCI.